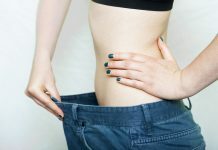 There are dozens of diets out there that promise to work wonders on your body, especially when it comes to weight loss. However, one diet that has been practiced since the 1930s is the grapefruit diet. So, what makes grapefruit so special that dieticians, nutritionists, and scientist are encouraging us to eat grapefruit every day? 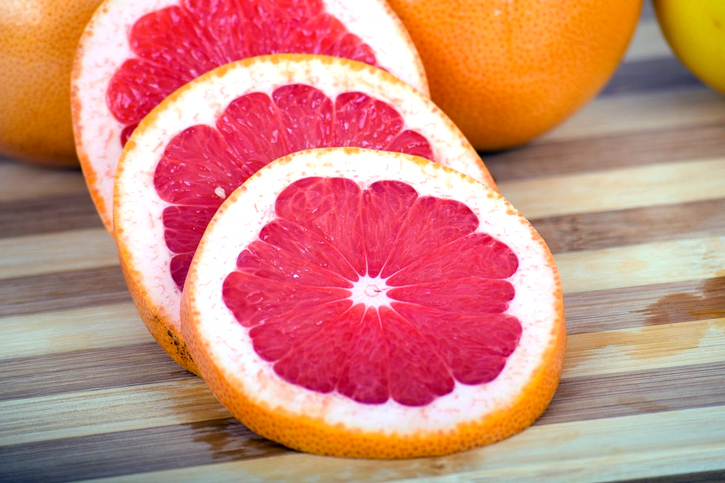 In this post, we look at the things you should know about grapefruit before eating it. Grapefruits are low in calories with one half having 39 calories. This makes it a great choice if you want to lose some weight. The high-nutrient low-calorie grapefruit doesn’t actually burn fat like we have been made to believe. But, due to the few calories, and a lot of nutrition, when taken before meals or with meals, grapefruit or grapefruit juice can help you reduce weight compared to desserts like cake which pack as much as 200 calories. Our bodies require water for proper functioning and grapefruits are 92 percent water. This makes grapefruit one of the fruits with the highest water content. Grapefruit has more juice than most fruits and adding it to your daily diet gets you closer to achieving your daily water requirement. Grapefruit pith is the white flesh that you find after you peel the outer layer of the grapefruit. If you’re like most people who throw it away oblivious of what it can do for your health, then here’s some news. The pith is a rich source of soluble fiber, antioxidants, and other important nutrients. The fiber makes you feel fuller much quickly, hence contributing to weight loss. Pectin is a soluble fiber source that is contained in the many varieties of grapefruit. Research shows that the pectin in pink grapefruits helps to lower LDL ‘bad’ cholesterol while red grapefruit helps to lower triglycerides. According to a study published in the Journal of Agricultural and Food Chemistry, grapefruit was found to reduce LDL cholesterol by more than 15 percent. LDL is the type of cholesterol you don’t want in your body because it can build up and clog your arteries, increasing the risks for a heart attack. Therefore, eating grapefruit daily can help reduce cholesterol. However, if you’re taking cholesterol-lowering drugs, you should avoid grapefruit due to its interaction with certain medications. 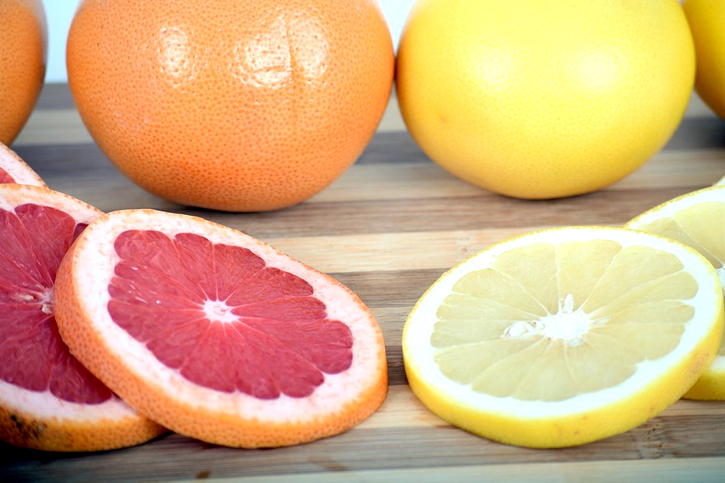 Which Color of Grapefruit is More Nutritious? Despite all grapefruit supplying vitamins, minerals and other nutrients, the red and pink ones seem to be the most nutritious. They are high in antioxidants, specifically beta carotene, and lycopene. Lycopene forms a group of carotenoids that give grapefruits and most other fruits and vegetables their distinct color. Antioxidants have many health benefits among them cancer prevention and may lower the risk of cardiovascular disease. There are certain medications that interact with grapefruit and may alter their effects. Eating or drinking grapefruit juice after taking medications, such as allergy medications, may affect how your liver metabolizes the drugs. This is because of the presence of furanocoumarin, the chemical compounds found in grapefruit.As a result, this may fasten the absorption of medicines, increasing your chances of having side effects. When there is a high level of medicines in your bloodstream, it could mean poisoning. Grapefruits don’t interact well with HIV drugs, anti-anxiety drugs, and erectile dysfunction drugs. It’s, therefore, advisable not to drink or eat grapefruit juice when taking certain medications. If you love your grapefruit juice, you can ask your doctor for different drugs that will not have side effects. Grapefruit is best eaten at room temperature to get their real flavor. But, if you must refrigerate them, they can stay fresh for up to three weeks. Otherwise, if you plan on eating them within one week, it’s best to leave them on the table. A good way to eat fresh grapefruit is buying them in small amounts that you can eat within a few days. It’s also easy to reach for a grapefruit that’s on the table since seeing the fruits reminds you that you should eat it. Generally, grapefruits are a healthy addition to your daily diet. They can also serve as the main course in salads and with proteins like chicken or fish. Additionally, you can make a grapefruit smoothie and enjoy any time of the day. The important thing to remember is that grapefruit may not interact well with certain drugs and it’s important to discuss the side effects with your doctor and ask for alternative medicines.